Real Estate professionals in Belize. In 2004 I moved to Belize with 10 animals and 2 Teenagers! Recognizing a need for an actual Buyers Agent in Belize, after not being serviced professionally by agents, I opened Rainforest Realty to provide a resource clients can have confidence with. Not realizing then what a blessing this would be for not only the Buyers, but for me also, having the opportunity to work with people, who like me wanted to live the dream of Belize, and getting to share so many tips to help them along the way, to have the dream without the pitfalls many encounter. With our Buyers Consultancy services, as an Accredited Buyers Agent with the National Association of Realtors, I am sure you will appreciate the opportunity to work with our team here in Belize. Having moved to Belize has been a 'Life Worth' having for sure experience for me! I have been blessed to be the Realtor for 8 HGTV House Hunters International, Host of Belize Talk Radio and TV Biography show, Promoter of local Charities and have made authentic friendships with locals, that I now consider family. 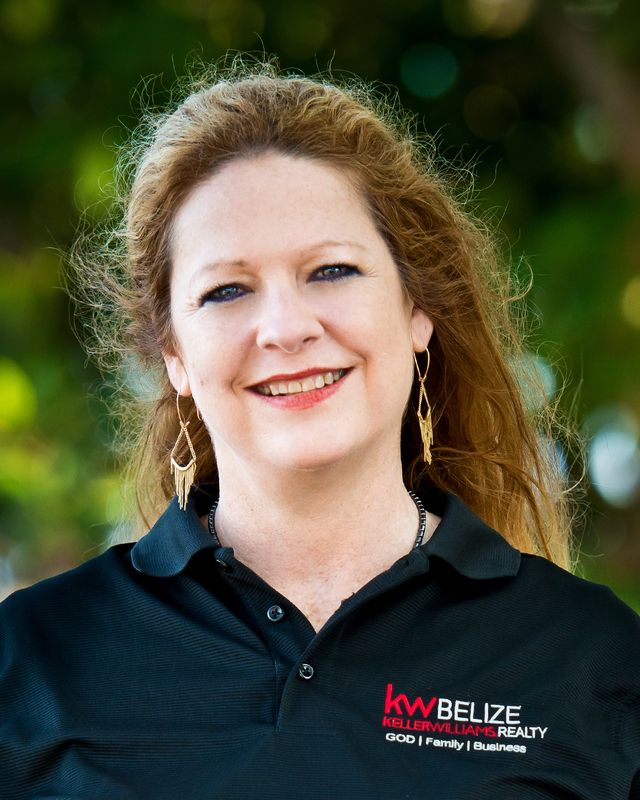 Additionally I am now the Operating Principle of Keller Williams Belize, which provides the opportunity for Locals to work with a Company that follows the mission of God, Family and Business, with the benefit of vast training that Keller Williams provides, which is the number 1 Real Estate Company in the World. Keller Williams Belize is unique as it provides opportunities for Locals to practice Real Estate in their own Country. If you are looking for the value of working with a Group of Professionally Educated and Community minded Agents for your Real Estate needs in Belize, we are honored to be your choice as your Representatives. On a personal note, I can share with you; I have never regretted that decision in all of these years! I believe life is meant to be Lived- which is why when Belize called to me, I threw may hat over the wall, and went for it! Knowing quite certainly had I not moved to Belize, I would have always wondered in my mind, how life could have been. In closing, when you are feeling the calling of Belize, know you have a friend here already! An expat in Hopkins, Belize describes in great detail about life there. Here cultural blunders, the food available there, and the pace of life and much more provide a nice glimpse of what it means to be an expat in Belize. Anyone thinking about moving to Belize should carefully consider the pros and cons of expat life in Belize. The article includes insight from expats about the cons (crime, limited healthcare, poor road conditions and more) and the pros (beautiful beaches, friendly people, low cost of living and more). Expats that move to Belize learn to enjoy a breathtakingly beautiful setting without some of the essentials they may have taken to granted in their home countries. Here are some tips to consider before taking the plunge and moving to Belize.